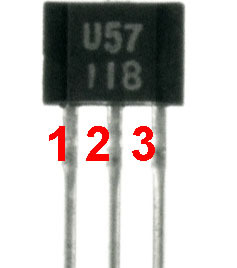 CS3144E available in Nettigo store is a Hall effect sensor in TO-92UA package. 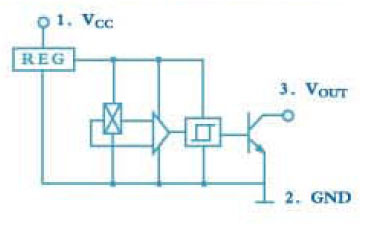 It consists of voltage regulator, Hall voltage generator, differential amplifier and Schmitt trigger. The output is open-colector type. Don’t bother about the markings – it’s totally different device, but the package is the same. I’m just not able to make a decent photo in macroscale ;) Of course, the terminal no. 1 is the first from the left, when looking at the package from the marked side. value, output voltage switches rapidly between high and low states. 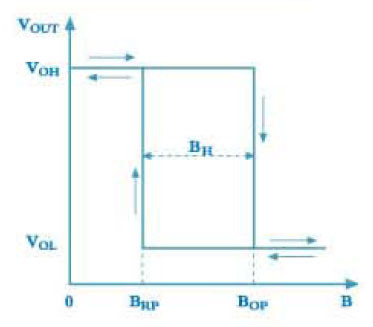 With two threshold values, there is no problem – when magnetic field reaches BOP value, output switches from high to low state. It changes in the opposite direction only when the field reaches BHP value, which is lower than BOP. Thanks to this, there is no blinking effect, which would appear when the switching is performed independently from the direction. 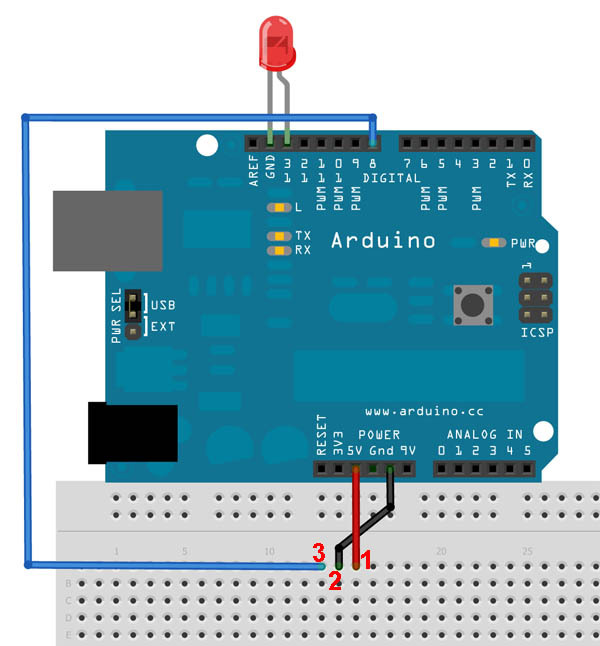 Of course, the Hall effect sensor has many sophiscated applications, for example in a rpm meter, but I’ll show the simplest one – turning a LED diode on and off with a magnet. 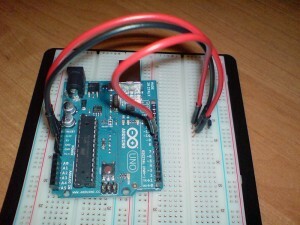 External LED diode is optional, unless our Arduino has a built-in one. In the other case it should be connected, as shown. 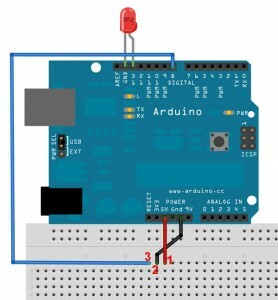 A resistor limiting the current can be safely omitted. And it works in this way. As you can see, I tried two different magnets and the difference in range is clearly visible. Unfortunately, I hadn’t any neodymium magnet, but I suppose the sensor would react from farther distance.